¿Buscas dormitorios para bebes mujeres? Mira esta CUNA CON GLAMOUR PARA MUJERCITA. Una preciosa y muy femenina cuna chic con mucho glamour. Rose Petals Silk Crib Bedding. Dimples and Dandelions is a family owned company that started in 2004 with the goal of selling the most adorable and unique products available for both baby and child. Exclusive to Dimples and Dandelions! This gorgeous crib set is just too beautiful for words. 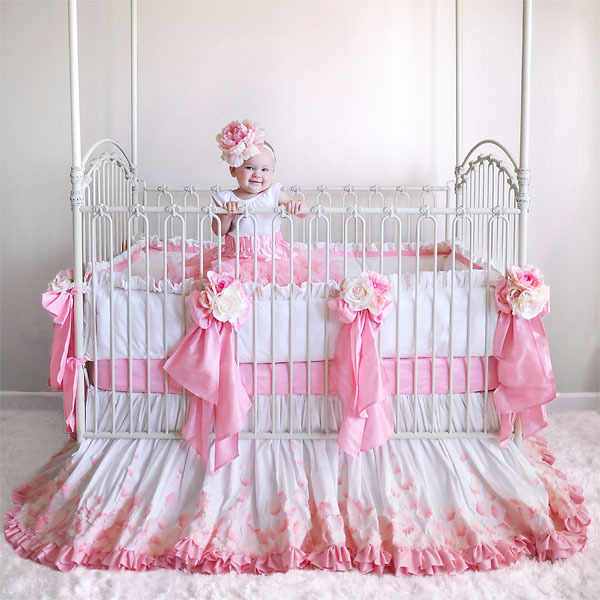 The 3 piece set includes a white silk dupioni crib bumper accented with pink silk ruffle trim. 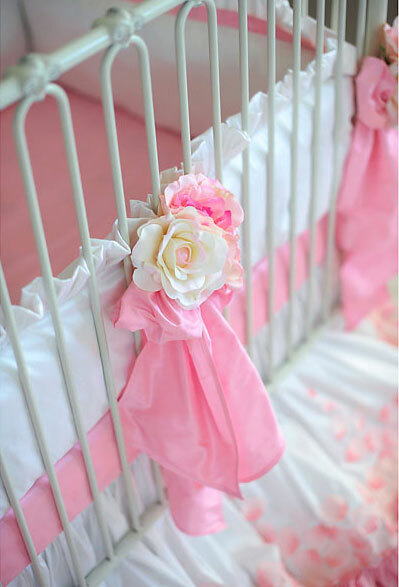 Includes pink silk crib ties with (4) flower accents. 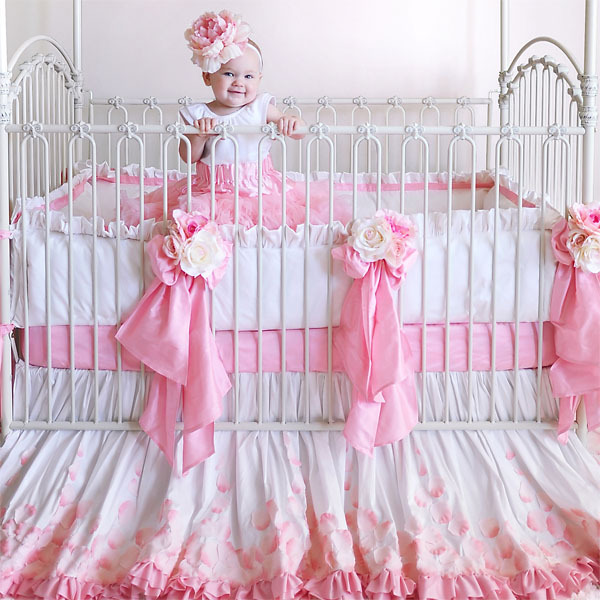 The 3 piece set also includes a silk fitted sheet and a stunning crib skirt embellished with over 1000 flower petals. It truly is an amazing work of art! Matching accessories such as a white blanket with pink trim, decorative pillows and a coordinating silk bunny are sold separately. This beautiful set is custom made to order and available in three different colors. The set can be made in a Pink version (as shown), Cream, or Lilac. Esta lindo ...lo tomare como opcion xq estoy esperando una nena ....tengo 8 meses d gestacion..